Over the past 20 years, I have been fortunate to work for some fantastic companies, including 6 years at Microsoft UK, a short but very enjoyable time at Habañero Consulting in Vancouver and 3 years at The Jim Henson Company (think, The Muppet Show and Sesame Street). I loved working at these three particular companies for very different reasons. Working in various industries has helped me gain experience with dealing with diverse types of people, recognizing that different companies have different priorities, this can be due to the size of the company, the culture of the company and the industry to which the company belongs. For example, during my time at the Jim Henson Company I was working as the Management accountant and as you would expect working for a company in the film and television industry I was surrounded by creative people. Creative direction was the main priority for the majority of the people I dealt with; getting them to focus on financial issues was a real challenge. I learnt during my time at Henson’s how to be patient, how to be a teacher and how to put financial issues in to the creative perspective. As a senior consultant at Habañero I was responsible for Microsoft Dynamics CRM sales and project delivery. Habañero sells through a practitioner based model, senior consultants who sell are then responsible for seeing the project through to a successful completion. Assisting the sales team in selling Microsoft Dynamics CRM. Project leader and client relationship manager. Liaising with developers and other technical resources to ensure the final solution met or exceeded the customer’s expectations. As a Microsoft CRM solution specialist I was fortunate to be involved in the evolution of Microsoft Dynamics CRM. I was one of a small number of team members from the UK who were involved with the product from the outset. Prior to joining the Microsoft UK CRM team I was an Account Manager and a solution specialist for the Enterprise Reporting and PWA Payroll applications. Training new Microsoft partners on how to sell CRM and successfully demonstrate the product. Helping Microsoft partners build their CRM practice and recruiting suitable resources. Supporting partners with CRM sales. Working closely with independent solution vendors in identifying solution gaps and then helping them market their add-on products. Liaising with the product development team in the US to identify future product features. Broad reach activities and product evangelism, presenting at partner and customer seminars, trade exhibitions and Microsoft conferences. My largest audience was in excess of 500. Preparation of quarterly financial reports for the three UK divisions. Deferred income and work in progress schedules. Preparation and analysis of monthly overhead variance reports including meeting with the VP of Finance and Department Heads to review performance figures. Preparation of weekly cost reports to allow close financial management of current projects. These reports were integral to the control of the business and helped to evaluate the impact of creative decisions. Weekly meetings with project managers and the Director of Finance to discuss movements in these reports. Preparation of monthly payroll and related year-end tax returns, including that of Directors and Vice Presidents. Supervision of the Financial Accountant, including the conduction of bi-yearly appraisals for 8 employees. Recruitment of departmental staff. Knight Frank, The Cardiothoracic Centre (UK NHS Trust), Datel Computing, and Princes Foods Ltd.
Nicola Cadwell joined Habañero as a Senior Consultant and her extensive background made her a huge asset to our team. Nicola is a proactive professional, who is able to direct a project in an efficient manner while maintaining strong Client relationships. We were very sorry to lose her, however we are continuing to engage with Nicola on a project by project basis and I am confident that any future projects Nicola takes on will be a success. – Lars Agger, Dynamics Practice Leader, Habañero Consulting. I worked with Nicola for 3 years at Bell Canada. In her capacity as senior consultant and project manager, Nicola provided first rate professionalism and service to our clients and our organization. 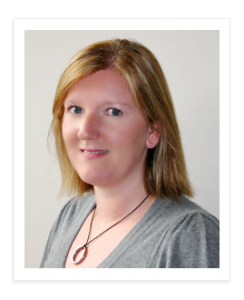 Nicola was very effective at understanding and documenting customer requirements in a wide variety of business environments quickly and effectively. She is an excellent communicator, works very hard, and has a high degree of integrity. I would be pleased to rehire and work with Nicola any time in the future. – Linda Butterfield, Director of Professional Services Business Applications, Bell Canada. Nicola is incredibly adept at understanding a client’s requirements and translating them into both business processes and software functionality. In every project we’ve worked together, I have been impressed with her grasp of the requirement and her care and attention to the quality of solution delivered. She is a great presenter and is well respected by both her colleagues and customers. I recomend Nicola in any pre-sales capacity, especially competitive situations. Helped me to build MS CRM UK channel. Karl Noakes, Director, Solution Partner Development, Microsoft Corporation. Great team player. Presents to all levels and able to articulate the right messages to customers and partners. – Nigel Postings, Director Worldwide Partner Group, Microsoft Corporation.